PRICED LESS THAN FHA APPRAISAL! This furnished home makes a GREAT starter or retirement home! Located in the country, this house sits on a nearly half acre level lot and features a large master suite, living room / dining room combo, separate family room, galley kitchen, covered screen patio and a smaller second bedroom. Exterior includes an oversize one car carport and detached utility building. Master suite features large walk-in closet. Relax in the covered screened patio all year long! Enjoy warm and peaceful winters in the sunshine! 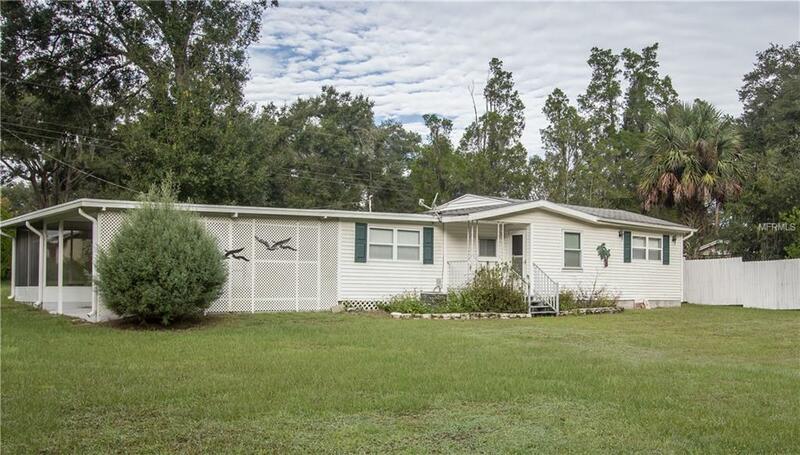 Close to shopping, restaurants and lies between Zephyrhills and Wesley Chapel. Listing provided courtesy of Sunlight Realty Llc.